Concentrated silence for more than seven hours. Emelie Röndahl´s Google Weaving Stop-time workshop attracted more than 20 weavers from Turkey, Sweden, Germany, Spain and even Australia. 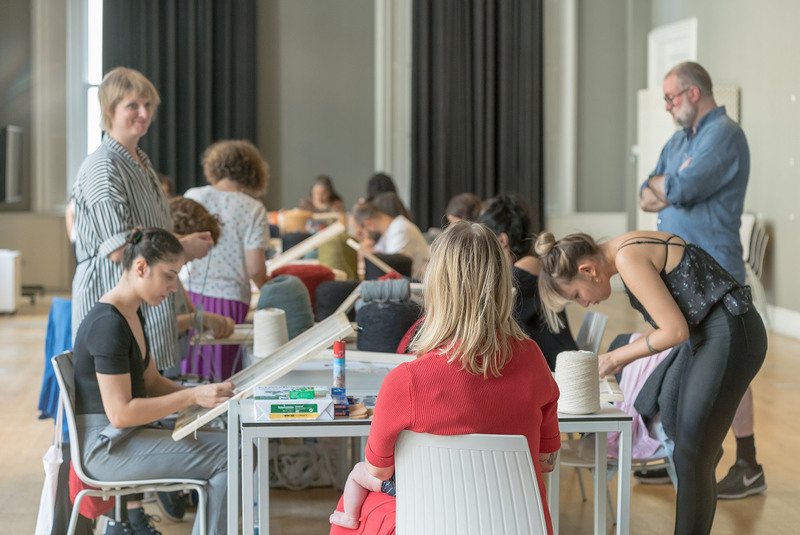 As part of the opening of the 4th Istanbul Design Biennial, Swedish artist weaver Emelie Röndahl held a workshop on September 21connected to her exhibition Google Weaving Stop-time at SALT Galata in Istanbul. 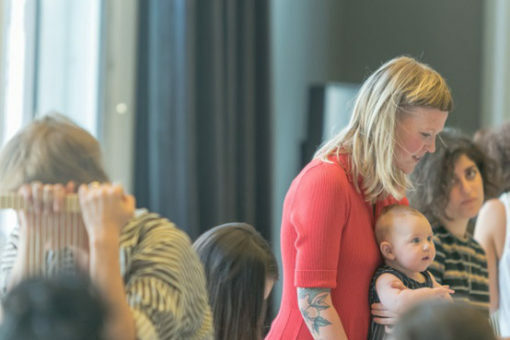 The workshop was open to both professional and new weavers, and made up an extended event to Emelie Röndahl´s online weaving school, which is based on sharing and exchanging knowledge and skills. Google Weaving Stop-time is a collective hand weaving project created by Emelie Röndahl for the 4th Istanbul Design Biennial, curated by Jan Boelen under the theme “A School of Schools”. 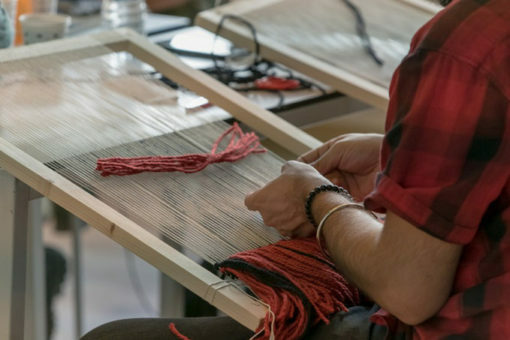 The project brought together almost 30 weavers from all over the world who responded to a social media invitation to weave. All tapestries in the exhibition are based on images from a google search for “textile labor Turkey”. Each artist selected an image and transformed it into time consuming hand woven textiles. The ghiordes knot used in each weaving has been used in traditional textiles for ages in both Sweden and Turkey.